Swedish mezzo Malena Ernman was born on November 4, 1970 in Uppsala. She is educated at the Royal Academy of Music in Stockholm, the Music Conservatory in Orleans, France and at the school of the Royal Swedish Opera. Ernman is a versatile artist in her field, who outside the world of opera and operettas also has performed chansons, cabaret, jazz, appeared in musicals and she is a performer who's declared that she's very much attracted to the attributes of varite theatre and small, intimate stage rooms. 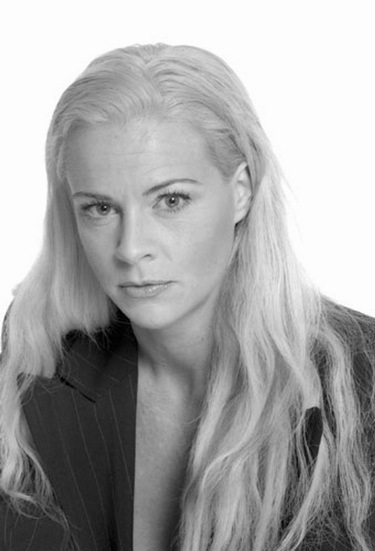 Malena Ernman is today one of Sweden's most sought after opera performers nationally and internationally. She has sung Cherubino in Le nozze di Figaro (Staatsoper Berlin/Daniel Barenboim), Rosina in Il barbiere di Siviglia (Staatsoper Berlin, Royal Opera Stockholm, Finnish National Opera), the title role in Carmen (Royal Opera Stockholm), Kaja in Sven-David Sandstrom's Staden (Royal Opera Stockholm), and Zerlina in Don Giovanni (Staatsoper Berlin/Barenboim). She has worked with Rene Jacobs as Nerone in Agrippina and Roberto in Scarlatti's Griselda in Berlin, Brussels, Innsbruck, and Paris. She has appeared at the Glyndebourne Festival singing Nancy in Albert Herring (Summer 2002) and Orlovsky in Die Fledermaus (Summer 2003). The 2002/2003 season included Diana in Cavalli's La Calisto at Wiener Festwochen with Rene Jacobs. In the 2003/2004 season Malena Ernman sang Donna Elvira in Don Giovanni at La Monnaie in Brussels and Lichas in Hercules with Les Arts Florissants and William Christie at the Aix-en-Provence Festival (which has been revived at Opera National de Paris and at Wiener Festwochen). During the spring and summer of 2005, she created the title role in Boesmans' Julie at la Monnaie, at Wiener Festwochen, and in Aix-en-Provence. The spring of 2006 included Nerone in L'incoronazione di Poppea in Berlin and Brussels followed by the role of Dido in Dido and Aeneas in Vienna and Nerone in Agrippina at Oper Frankfurt. Further engagements included Annio in La clemenza di Tito in Salzburg, Sesto in Giulio Cesare with Rene Jacobs in Vienna, Cherubino in Le nozze di Figaro with Daniel Harding in Aix-en-Provence and Angelina in La Cenerentola in Stockholm. In 2009, Malena will be starring in Cinderella at the Royal Swedish Opera and in Frankfurt she will do the title role of Dido in Dido and Aeneas (Paris Wien Amsterdam William Christie). On the concert platform Ernman's appearances have included Schumann's Das Paradies und die Peri in Graz and Zurich with Nikolaus Harnoncourt, Mozart's Waisenhausmesse (Salzburg Festival with Frans Bruggen), Berio's Folksongs (Stockholm Royal Philharmonic Orchestra/Carlo Rizzi), Fabian Muller's Nachtgesange (Zurich Tonhalle Orchestra/Zinman - world premiere), and Mozart's Requiem in Minneapolis (Arnold Ostman). At the 1999 Nobel Prize Award Ceremony Malena performed as a soloist. During the 2001/02 season Malena Ernman could be heard in recital in Tokyo, singing Bach's St. John Passion in Notre Dame de Paris (Ensemble Orchestral de Paris/John Nelson), and performing Mozart's Requiem (Berlin Philharmonic Orches-tra/Barenboim). The 2002/03 season included Mozart's C-minor Mass with Orchestre des Champs-Elysees and Philippe Herreweghe on tour in Europe, a Vivaldi concert in Lille with Concerto Italiano and Rinaldo Alessandrini, and S-D Sand-strom's High Mass with the Gewandhaus Orchestra and Herbert Blomstedt. During the 2004/05 season she made her Wigmore Hall debut and appeared singing Elgar's Sea Pictures in Trondheim and Berio's Folksongs with the Swedish Radio Symphony Orchestra. In August 2005 she sang the Folksongs at the Verbier Festival. 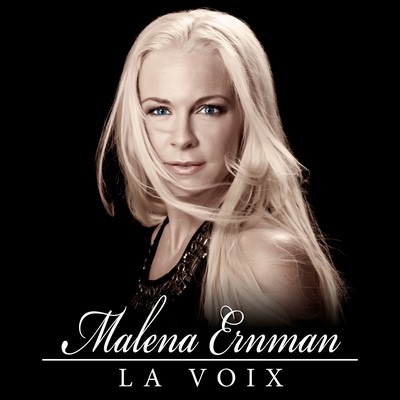 Malena Ernman's discography includes the solo CDs Cabaret and My Love (BIS), Songs in Season (Nytorp Musik), Nachtgesange (Col legno), and The High Mass (Deutsche Grammophon). Author's description of the song: A raging glorious declaration of love to the combination of pop and opera! Born, raised and living in: Born in Uppsala, raised in Sandviken, Munchen and Orleans. Now living in Kungsholmen, Stockholm. Favourite food: My own, cooked in my own oven, in my own kitchen! Favourite household item: Our 30 kilo Espresso machine, handmade in Venice. And my husband! He's always there. At home I mean. A memorable event: Having kids of course. And many musical ones? A favourite was when I gave a Halloween concert with Yo-Yo Ma in Baltimore and we had to buy stage costumes. They closed off an entire department store for us! And everything was filmed by CNN. Fredrik Kempe, Composer, lyrics writer, artist and MBA. Born, raised and living in: Vargarda, Vargarda and now living in Stockholm. Musical role model: Benny Andersson. Where did you write your contribution: In the studio. Favourite food: Mum's meatballs and mash. Favourite household item: The piano. What did you want to be when you grew up: A song-writer and artist. Previous participation in Melodifestivalen: Became a Melodifestivalen name in 2004 when he sung his way straight into the Second chance round with his song "Finally". In 2005 he made it to the final with "Du och jag mot varlden", which he wrote with two of his brothers in arms - Henrik Wikstrom and Bobby Ljunggren. In 2007, three of his entries were included in the festival: "Cara Mia", "Rainbow Star" and "Vagar du, vagar jag". In Melodifestivalen 2008 he co-wrote the music and wrote the lyrics to the winning entry, Hero, performed by Charlotte Perrelli. This year he has four entries competing in the festival: "Hope and Glory", "You're Not Alone" and "Moving On" and "La Voix". Watch Malena performing "La Voix" here and here. Complete national final is available to watch here. Official music video can be watched here. In Moscow Malena will be joined by 5 female backingvocals: Jessica Marberger, Dea Norberg, Tine Matulessy, Malin Nilsson and Anna Maria Hallgarn. "I think we have worked very hard within the opera world to become a part of the popular music scene, but we can’t!!! Only the audience can make opera popular music. Hopefully La Voix can play a small part in making that happen. Fredrik Kempe, who wrote the song, is an old friend of mine. We worked together at the Opera in Stockholm with Staden by Sven David Sandstrom, ten years ago. Then Fredrik called me last summer and said he had a song that would suit me. It sounded like a fun idea, but of course I thought about it for a long time. We recorded a demo during the autumn, and that was it!" "In the opera I'm on stage for three hours, singing without a microphone. In the Eurovision Song Contest, I'm on stage for three minutes, singing with a microphone." "I always watch the Eurovision Song Contest on the web. The whole family will watch together in front of the computer, in whatever european city we happen to be in. Itґs like being back in Sweden for a few hours, and that’s a great feeling! I love the Eurovision Song Contest. Together with the World Cup in football and the Olympics, I think it’s the best entertainment on TV." "But just two days after the Swedish competition I will be back on the opera stage, this time in Frankfurt. I am grateful to have had the opportunity to try so many different genres of music, everything from opera to jazz and ballads, and now the the Eurovision Song Contest." Шведское меццо-сопрано Малена Эрнман родилась 4го ноября 1970 года в Уппсале. Она закончила Королевскую музыкальную академию в Стокгольме, Музыкальную Консерваторию в Орлеане, Франция, и школу Королевской шведском Оперы. Эрнман исполняет весьма разнообразный репертуар, вне мира оперы и оперетты в него входит французский шансон, кабаре, джаз, выступления в мюзиклах. Она очень любит выступать в варьете и на маленьких сценах. Малена Эрнман в настоящее время одна из самых известных шведских оперных певиц как в стране, так и зарубежом. Среди ее оперных ролей: Cherubino в Le nozze di Figaro (Staatsoper Berlin/Daniel Barenboim), Rosina в Il barbiere di Siviglia (Staatsoper Berlin, Королевская Опера Стокгольма, Финская Национальная опера), заглавная роль в Carmen (Королевская Опера Стокгольма), Kaja в Staden (Sven-David Sandstrom, Королевская Опера Стокгольма), и Zerlina в Don Giovanni (Staatsoper Berlin/Barenboim). Она работал с Рене Якобсом в Nerone в роли Agrippina и Roberto в Griselda (Scarlatti) в Берлине, Брюсселе, Иннсбруке и Париже. Она выступала на Glyndebourne Festival исполняя роль Nancy в Albert Herring (лето 2002) и Orlovsky в Die Fledermaus (лето 2003). Сезон 2002/2003 включал исполнение роли Diana в La Calisto (Cavalli) в Wiener Festwochen с Рене Якобсом. В сезоне 2003/2004 Малена Эрнман исполняла роль Donna Elvira в Don Giovanni в La Monnaie в Брюсселе и Lichas в Hercules вместе с Les Arts Florissants и Уильямом Кристи на Aix-en-Provence Festival (которая также была повторена в Национальной опере Парижа и Wiener Festwochen). Весной и летом 2005 года она играла заглавную роль в Julie at la Monnaie (Boesmans), в Wiener Festwochen, и в Aix-en-Provence. Весной 2006 года ее роли включали в себя Nerone в L'incoronazione di Poppea в Берлине и Брюсселе и роль Dido в Dido and Aeneas в Вене и Nerone в Agrippina во Франкфуртской опере. Далее она выступала в роли Annio в La clemenza di Tito в Зальцбурге, Sesto в Giulio Cesare с Рене Якобсом в Вене, Cherubino в Le nozze di Figaro с Даниелем Гардингом в Aix-en-Provence и Angelina в La Cenerentola в Стокгольме. В 2009 году она будет выступать в Cindirella в Королевской Шведской Опере и во Франкфурте, где она также будет исполнять заглавную роль в Dido and Aeneas (Paris Wien Amsterdam William Christie). Концертные выступления Эрнман включали в себя исполнение Das Paradies und die Peri (Schumann) в Граце и Цюрихе с Николаусом Харнонкортом, Waisenhausmesse (Mozart, Зальцбургский фестиваль с Франсом Брюггеном), Folksongs (Berio, Стокгольмский королевский филармонический оркестр/Карло Рицци), Nachtgesange (Fabian Muller, Цюрихский оркестр/Цинман - мировая премьера, и Requiem (Mozart) в Миннеанаполисе (Арнольд Остман). В 1999 году Малена выступала в качестве солистки на церемонии вручения Нобелевских премий. В сезоне 2001/02 ее можно было услышать в Токио, исполняющую St. John Passion (Bach) в Notre Dame de Paris (Оркестр Парижа/Джон Нельсон), и исполняющую Requiem (Mozart, Берлинский филармонический оркестр/Barenboim). В сезоне 2002/03 она выступала с C-minor Mass (Mozart) с Оркестром Елисейских полей и Филиппом Эрревеге на европейском турне, концерт Vivaldi в Лилле с Concerto Italiano и Ринальдо Алессандрини и High Mass (S-D Sand-strom) с Gewandhaus Orchestra и Гербертом Бломштедтом. Во время сезона 2004/05 она дебютировала в Wigmore Hall и исполняла Sea Pictures (Elgar) в Трондхейме и Folksongs (Berio) со Шведским симфоническим оркестром радио. В августе 2005 года она исполняла Folksongs на фестивале Verbier. Дискография Малены Эрнман включает в себя сольные альбомы Cabaret и My Love (BIS), Songs in Season (Nytorp Musik), Nachtgesange (Col legno), и The High Mass (Deutsche Grammophon). Описание песни автором: Великолепное страстное объяснение в любви комбинации поп музыки и оперы. Родилась, выросла, живет в: Родилась в Уппсале, выросла в Сандвикене, Мюнхене и Орлеане. Сейчас живу в Стокгольме. Любимая еда: Моя собственная, приготовленная в моей духовке, в моей кухне! Любимая вещь в доме: Наша 30-килограммовая машина для изготовленя Espresso, ручной работы из Венеции. И мой муж! Он всегда там. Дома, я имею в виду. Самое памятное событие: Рождение детей. И много музыкальных. Помню, как я давала концерт в честь Хэллоуина c Yo-Yo Ma в Балтиморе и нам надо было купить себе сценические костюмы. Ради нас закрыли целый магазин! И все снимало CNN. Фредрик Щемпе, Композитор, поэт, исполнитель, мастер делового администрирования. Родился, вырос, живет в: Воргорда, Воргорда и сейчас живу в Стокгольме. Где вы написали вашу песню: В студии. Любимая еда: Мамины фрикадельки и пюре. Кем вы хотели стать в детстве: Автором песен и исполнителем. Предыдущие участия в Мелодифестивалене: В 2004 году попал в раунд "Второй шанс" с песней "Finally". В 2005 году вышел в фигал с "Du och jag mot varlden", которую написал с двумя постоянными коллегами - Хенриком Викстремом и Бобби Люнгренном. В 2007, в конкурсе принимали участие три его песни: "Cara Mia", "Rainbow Star" и "Vagar du, vagar jag". В 2008 году был соавтором песни Hero Шарлотты Перрелли, которая победила на национальном отборе и приняла участие в Евровидении. В этом году в отборе участвовали 4 его композиции: "Hope and Glory", "You're Not Alone", "Moving On" и "La Voix". Исполнение Маленой песни "La Voix" вы можете увидеть здесь и здесь. Полный финал национального отбора вы можете увидеть здесь. Официальный видеоклип можно увидеть здесь. В Москве с Маленой выступят 5 бэк-вокалисток: Jessica Marberger, Dea Norberg, Tine Matulessy, Malin Nilsson and Anna Maria Hallgarn. "Мне казалось, что мы очень много работали в мире оперы, чтобы сделать его частью популярной музыкальной сцены, но мы никаки не могли этого добиться!!! Только зрители смогут сделать оперу популярной музыкой. И я надеюсь, что La Voix сможет сыграть в этом свою роль. Фредрик Щемпе, автор песни - мой старый друг. Еще 10 лет назад мы работали с ним вместе в стокгольмской опере над поставновкой Staden Свена Давида Сандстрема. Прошлым летом Фредрик позвонил мне и сказал, что у него есть подходящая для меня песня. Мне эта идея понравилась, но, конечно, я взяла время на раздумье. Осенью мы записали демо, и так появилась наша песня. В опере мне приходиться петь на сцене без микрофона по три часа, в Евровидении мне надо будет петь лишь три минуты с микрофоном. Я всегда смотрела конкурс Евровидение по интернету. Мы всей семьей собирались вокруг компьютера и смотрели его, в какой бы стране мы бы не находились. Мы как будто на несколько часов возвращались в Швецию. Я обожаю Евровидение. Это как Чемпионат Мира по футболу и Олимпийские игры, я думаю, что это крупнейшее развлекательное шоу в мире. Всего через два дня после шведского отбора мне придется вернуться во Франкфурт на оперную сцену. Я рада этой возможности испытать различные виды музыки - от оперы и джаза до баллад, и сейчас принять участие в конкурсе Евровидение"
Stay and don’t let go. First images of Malena's dress for the Eurovision have been revealed by Expressen newspaper. According to the earlier information, singer will replace her black dress from the national final to white one of Narnia-like creature. The dress has been created by Camilla Thulin and will cost 400 000 kronor or over 37 000 Euros. Designer Camilla Thulin says of her creation: "it's a real luxury item of clothing. It demands a real Valkyrie, a Brunnhilde to carry it off - and that's what Malena is. Tall, blond and with a fantastic body." About the dress, she explains "we've take it a step further and given it futuristic wings. But at the same time it's a classic, 1800s style." With fabric imported from Turkey and up to 365 feathers in three different shades composing the sartorial work of art. In the meantime, her five supporting singers and dancers will be dressed in short jackets of velvet and silk. And the lady at the centre of it all is more than pleased with her own outfit: "I love it", is Malena's judgement. Appreciation is mutual; Thulin says of Malena "I have nothing but respect for Malena. It's great to dress such a brilliant artist." Первые изображения платья Малены, в котором она выступит на Евровидении, были опубликованы газетой Expressen. Как сообщалось ранее, певица сменит свой черный костюм с национального отбора на белое платье в стиле Нарнии. Автором его является дизайнер Камилла Тулин и его стоимость оценивается в 400 000 крон или более 37 000 евро. Дизайнер Камила Тулин говорит о своей идее: "Это по-настоящему роскошное платье. Для него требуется настоящая валькирия, Брунгильда - и оно идеально подходит Малене. Высокая блондинка с потрясающим телом". Дизайнер также рассказала, что "платью планируется придать и футуристические крылья. Но в то же время, оно будет классическим, в стиле 19го века". Ткань для платья была привезена из Турции. В его создании использованы 365 перьев различных оттенков. Пять бэк-вокалисток и танцоров будут одеты в короткие жакеты из вельвета и шелка. Солистка очень довольна своим костюмом. В ответ Тулин также благодарит Малену: "Очень приятно делать такое платье для такой великой артистки". - Yes, I understand that I am one of the few artists who travel back and forth. But these performances have been planned long ago, there are a lot of tickets sold, so we have tried to arrange it so good as we can, admitted Malena Ernman to TT Spectra. First stop in Russia takes place this weekend. At night on Sunday she arrives to Moscow from Vienna for the first rehearsal. Directly afterward, she travels to Stockholm on Sunday afternoon to play "Cinderella" at the Opera House on Monday. To the Swedish journalists in Russia a press conference has been scheduled in the bus on the way out to the airport in Moscow. TT Spektra: In a place like this hectic schedule - in time to enjoy something of the adventure? - Yes, I have time to enjoy and have met many incredibly nice people. I got up my website now, so I can communicate with my audience. Malena has also started the latest online habit. - Yes, I have started twitter! It is great because then I can only send sms. I have realized that there are many people who follow me all around the world. And it compensates for a lot of stress I can feel sometimes. Unlike last year's winner Charlotte Perrelli Malena Ernman had not time to travel around and advertise herself in Europe. - If you want to establish yourself down there, you must have started early, it feels like you have to start four years in advance of it to produce results. Obviously, it is good to be seen abroad but I'm seen quite a lot anyway, I have my international audience. - Yes. It will probably become quite hysterical and fantastic! So far, I am mostly focused on when and where I will go, but now I realize that it probably actually going to be lots of fun", says Malena Ernman and laughs. She considers Norway to be her biggest competitor. - Norway is in a class of its own. I love him, "says Malena Ernman. - Norway will win the whole show. I hope it unless we win", she adds. - There is also a man who sings falsetto from from Bulgaria who also competes on the 12th May, but I will beat him", claims Swedish entrant. - Да, я понимаю, что я одна из немногих артистов, которым придется летать туда и обратно. Но эти выступления были запланированы уже очень давно, на них проданы билеты, но мы постарались организовать расписание наилучшим возможным образом, - призналась Малена Эрнман в интервью TT Spektra. Первый раз в Россию Малена приедет уже в конце этой недели. В ночь на воскресенье она прилетит из Вены, чтобы провести первую запланированную репетицию на сцене Олимпийского. Сразу после этого, она вылетает в Стокгольм, чтобы в понедельник принять участие в опере "Золушка". Пресс-конференция для шведской прессы запланирована в автобусе на пути в аэропорт. TT Spektra: Учитывая такое сложное расписание, остается ли у вас время получить удовольствие от выступлений? - Да, у меня есть время на это и на встречи с моим поклонниками. Сейчас я открыла собственный сайт и могу общаться со зрителями с помощью него. - Да, я завела twitter! Это просто супер, потому что мне приходится только слать СМС. Я узнала, что много людей следит за мною по всему миру. И это внимание компенсирует тот стресс, что иногда приходится испытывать. В отличии от представительницы Швеции на Евровидении прошлого года Шарлотты Перрелли Малена Эрнман не смогла принять участие в промо-туре по Европе. - Если ты хочешь разрекламировать себя, то надо начинать делать это рано. Вообще, лучше например за 4 года до конкурса, чтобы добиться какого-то результата. Конечно, хорошо, когда тебя видят зарубежом, но меня и так видят, у меня есть много поклонников за границей. Несмотря на то, что Евровидение достаточно необычное событие в ее карьере, Малена полностью готова к нему. - Да. Наверное оно будет истеричным, но в тоже время фантастическим. Пока что я фокусируюсь на том, когда и куда я должна поехать, но я начинаю понимать и то, что в Москве будет очень весело!, говорит смеясь Малена. Певица считает Норвегию основным конкурентом. - Норвегия выступает в собственной категории по уровню. Я просто обожаю его. Без сомнения, Норвегия победит. Ну, если не победим мы, - добавляет Малена. - В конкурсе есть и еще один певец, который поет фальцетом, из Болгарии, он тоже выступает 12го мая, но мы его обойдем", уверенно заявляет певица. SVT has appointed new team of commentators for Eurovision Song Contest appointing singer Shirley Clamp and SVT editor and Eurovision expert Edward af Sillen to take the job. ”We have chosen a new and exciting combination of commentators for this year's ESC. I'm sure that these are two people will both offer have a sense of humour and spontaneity, but also have a lot of knowledge of the history of the competition, said Christer Bjorkman, Swedish HoD says. Edward af Sillen was the co-writer of scripts for MF this year. "This is a job I always dreamed to get, since I love the competition. To do it with Shirley is a bonus. We worked together for the first time 5 years ago and we're very good friends". Shirley Clamp is many times participant of MF: "MF means so much to me as there I got my long awaited breakthrough and I have been following ESC since childhood. I'm extremely proud and pleased to get the job of commentator and have already started packing my bags!" Also, SVT has announced to broadcast special documentary "Portratt av Malena" prior to semifinal on May 12th, starting at 20.00 CET. SVT назначил новую команду комментаторов для Евровидения 2009. Ими стали певица Ширли Клэмп и редактор SVT, эксперт Евровидения Эдвард аф Силлен. "Мы выбрали новых комментаторов в этом году. Я уверен, что они оба смогут предложить зрителям чувство юмора, определенную спонтанность, а также обладают необходимыми знаниями в истории конкурса", заявил глава делегации Швеции Кристер Бьоркман. Эдвард аф Силлен был со-автором сценария Мелодифестивалена этого года. "Я всегда мечтал об этой работе, потому что я обожаю этот конкурс. То, что мы будем работать с Ширли - еще один плюс. Мы впервые работали вместе 5 лет назад и мы очень хорошие друзья". Ширли Клэмп - многократная участница МФ: "Мелодифестивален значет для меня очень многое, так как именно благодаря ему я смогла совершить прорыв в своей карьере, а за Евровидением я следила с детства. Я невероятно горжусь этим назначением и уже начала паковать вещи для Москвы". Также, SVT объявил о том, что покажет документальный фильм "Portratt av Malena" перед началом полуфинала 12го мая в 22.00 Москвы. 15/04 On Wednesday, the 42 participants of the 54th Eurovision Song Contest were officially presented to the media in Sweden. The opera singer Malena Ernman represents Sweden with the pop opera piece La Voix, and accordingly, the presentation was held at the Royal Swedish Opera in Stockholm. Malena Ernman has herself watched all the entries. Now she can comment on the opposition in Moscow for the first time. Among her special favourites, Malena particularly enjoyed the Armenian entry Jan Jan with Inga and Anush. Another favourite is Norway’s Alexander Rybak with Fairytale. – I loved Armenia! I laughed so I fell off my bed at the hotel room. Then I watched again – and fell off again! They look like two Russian dolls. I can not predict their chances though, they can win or they can still come last. But I think they will do well and it will make me happy. And I love the Norwegian performer! I can’t say anything negative at all about that entry. Malena Ernman also feels that the Big Four – United Kingdom, France, Spain and Germany – have made greater efforts than usual. – The UK really shows ambition this year. They have sent the youngest and cutest girl saying ‘it’s my time’, with a song by Andrew Lloyd Webber! - One more disco girl rotating her hips and claiming she likes to party and I will probably be throwing something on the computer, said Malena to Aftonbladet TV after watching Ukrainian entry. Malena also ventured to pick her own five favourites. The entries with the top points from the Swedish opera queen are Norway, Armenia, Estonia (‘I love instruments with strings – and people in Estonia can always sing, they have a strong tradition’), Ireland (‘girl power!’) and Iceland. В среду в Швеции в помещении Королевской Шведской Оперы состоялась официальная презентация 42х участников Евровидения 2009 прессе. Оперная певица Малена Эрнман, которая представит свою страну на конкурсе с поп-оперной песней La Voix вместе с представителями СМИ посмотрела клипы всех участвующих стран и высказала о них свое мнение. - Очень много современных обработок фолк-музыки, где конкурсанты начинают с национальной музыки своей страны и потом переводят ее в русло современной поп-музыки, и зачастую результат этого мне понравился. Среди особых фаворитов Малены дуэт из Армении Инга и Ануш и Александр Рыбак из Норвегии. - Мне очень понравилась песня Армении! Я так смеялась, что в буквальном смысле упала со своей кровати в комнате отеля. Посмотрела еще раз - и снова упала! Они выглядят как две русские куклы. Я не могу предсказать их шансов - они могут как стать первыми, так и последними. Но я думаю, что они добьются хорошего результата и я буду этому очень рада. Я мне очень понравился представитель Норвегии! В его номере нет никаких недостатков. Малене также показалось, что Большая четверка - Великобритания, Франция, Испания и Германия - в этом году более ответственно подошли к конкурсу. - Великобритания продемонстрировала в этом году большие амбиции. Они отправили на конкурс молодую и красивую девушку с песней "Мое время пришло", написанной Эндрю Ллойдом Уэббером! - Еще одна диско-девушка, вращающая своими ягодицами и заявляющая, что она любит вечеринки, и я уже начну что-то кидать в экран компьютера, заявила Малена после просмотра песни Украины. Малена также определила свою пятерку предпочтений. Помимо Армении и Норвегии в нее вошли Эстония ("Мне нравятся струнные инструменты и эстонцы всегда очень хорошо поют, это национальная традиция"), Ирландия и Исландия. 07/04 For the Eurovision Malena will become Ice Queen. The performance will be based on The Chronicles of Narnia, with Malena joined by five female backing singers: members of Melodifestivalen choir Dea Norberg, Jessica Marberger and Tine Matulessy, as well as Malin Nilsson (participant of MF 2004 as Auto Love), and musical star Anna Maria Hallgarn. Additional instruments have been used in the backing track to recreate athmosphere of the choir, while the backing vocalists will add the rest to make song sound not very different from MF version. - We also rehearsed in a number of new sequences in the choreography, "said Christer Bjorkman, head of Swedish delegation to Expressen. The main part of the performance remains. But the theme will be Narnia, and the target is to create image of a Scandinavian Ice Queen, surrounded by five dark creatures. We have decided that all of the performers should be female. There will be a powerful girl statement. The opera feeling will be still maintained, but the closing part of the performance will be different. In addition to the dramatic new clothes, designed by Camilla Thulin, it is planned to get on stage several blocks of ice. With LED screens the floor will turn white. - The presentation is changed in terms of choreography to fit on the stage. We have rehearsed the new variant, filmed it and sent off instructions to the Russians, "says Christer Bjorkman. The video shot has also taken place recently. - There is so much going on that we almost forgot about the video. But now, we have managed to gather a good team in Frankfurt for the video shooting, says Malena. - I have never done a thing like this. Meanwhile, Malena is also preparing an issue of the double CD with works ranging from Mozart and Handel to Puccini and pop songs. На Евровидении Малена выступит в образе Снежной королевы. Выступление будет основано на Хрониках Нарнии, с певицей на сцене выступят пять бэк-вокалисток: участницы хора Мелодифестивалена Деа Норберг, Йессика Марбергер и Тине Матулесси, а также Малин Нильссон (участница МФ 2004 в Auto Love) и артистка мюзиклов Анна Мария Холлгерн. В записи песни были использованы дополнительные инструменты, которые должны воссоздать атмосферу хора, в то время как бэк-вокалистки усилят ее и, таким образом, звучание песни будет не сильно отличаться от версии, услышанной на национальном отборе. - Мы введем в хореографию несколько новых элементов, говорит глава делегации Швеции Кристер Бьоркман. Основа выступления остается, но его темой станет Нарния. Наша задача - создать имидж скандинавской Снежной Королевы, которая будет окружена пятью темными созданиями. Мы решили, что все исполнители будут женщинами. Останется оперная основа, но завершаться выступление будет иначе. В добавление к новым костюмам, разработанным Камиллой Тулин, ожидается, что на сцене будут использованы несколько глыб льда. Светодиодные экраны сделают пол сцены белым для этого номера. - Мы поменяли хореографию еще и с учетом того, чтобы она вписывалась в Московскую сцену. Мы отрепетировали новый вариант, засняли его и отправили рабочую съемку в Москву с инструкциями, рассказал Бьоркман. Также недавно прошли и съемки видеоклипа на песню для Евровидения. - Так много работы, что мы почти забыли о съемках клипа. Но сейчас, нам удалось собрать во Франкфурте отличную команду профессионалов для этого, рассказывает певица. - Раньше я никогда не снималась в клипах. Видеоклип уже можно увидеть здесь. Тем временем, Малена готовит и релиз двойного альбома с оперными хитами от Моцарта до Генделя и Пуччини и поп-песнями. Malena Ernman's team has finally manage to pull together a schedule for the singer for the first half of May, which will include six flights - in ten days. Opera schedules of Malena Ernman are booked until 2013. Actually, on the day of semifinals in Moscow she is scheduled to perform role in "Dido and Aeneas" in Vienna. The day after she has the main role in "Cinderella" in Stockholm. This appearances had to be cancelled, and replacement singer should be appointed, but the team of singer made the gigantic work to save all other performances of Malena. April 14-17: Rehearsals of "Cinderella"
April 28: Premiere of "Cinderella" in Stockholm. May 1-2, rehearsals of "Dido and Aeneas" in Vienna, which will be premierred on May 23. May 2, flight from Vienna to Moscow, she is missing the show "Cinderella" at the Royal Opera. May 4, Stockholm, plays in "Cinderella" at the Royal Opera. May 5-6, flies to Vienna, for "Dido and Aeneas" rehearsals. May 12, Semifinal. If she qualifies to the finals, she stays in Moscow, otherwise, performs in "Cinderella" at the Royal Opera, 13th May. 18/12 Delivering News First! Comedian and TV host Petra Mede takes over from Kristian Luuk and will host Melodifestivalen 2009, reported Swedish Aftonbladet. 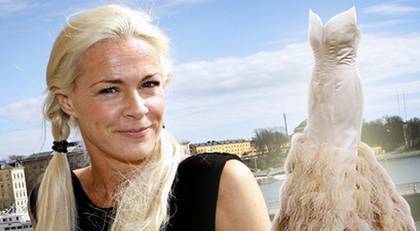 She has experience hosting SVT show "Morgansoffan" and TV4's "Parlamentet". "SVT decided earlier that that they wanted a woman and to continue with humour approach. Petra is perfectly suited for the mission and she is said to love schlager songs", told insider. Officially host of Melodifestivalen 2009 will be revealed at press-conference of SVT later today, but the news have been already confirmed by the broadcaster. Комедийная актриса и телеведущая Петра Меде станет новой ведущей Melodifestivalen'а, после отставки Кристиана Люка, сообщает шведская Aftonbladet. Петра известна как ведущая шоу SVT "Morgansoffan" и TV4 "Parlamentet". "SVT решило, что им требуется женщина-ведущая и они хотели бы продолжить с юмористическим подходом к этой работе. Петра отлично подходит для этой роли и, говорят, что она очень любит шлягерную музыку", сообщил источник. 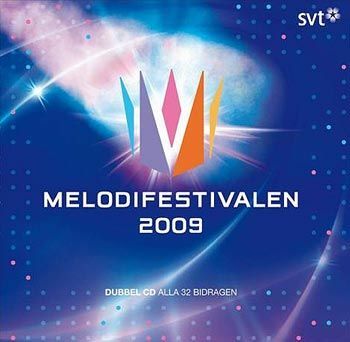 Официально ведущий Melodifestivalen 2009 будет представлен сегодня на пресс-конференции SVT, но новость уже была официально подтверждена телекомпанией. 16/12 Trio E.M.D. (Erik Segerstedt, Mattias Andreasson and Danny Saucedo, participant of EDC 2008) are 4th wildcard in Swedish Melodifestivalen. They wil be performing song "Baby Goodbye", written by Oscar Gorres and trio members. Performers of the last entry, song "Higher" have been confirmed as band "Star Pilotes" as it was earlier expected. Трио E.M.D. (Эрик Сегерстедт, Маттиас Андреассон и Данни Сауседо, участник Танцевального Евровидения 2008) - 4й джокер шведского Мелодифестивалена. Они исполнят песню "Baby Goodbye" Оскара Горреса и участников трио. Также, было подтверждено, что последнюю песню "Higher" исполнит группа Star Pilotes, как это ранее и ожидалось. 11/12 Delivering News First! Swedish broadcaster SVT has announced the way, participating entries will be split into 4 semifinals. Шведская телекомпания SVT объявила о том, как участвующие артисты были разбиты на 4 полуфинала. 09/12 Last portion of the Swedish Melodifestivalen entries has been confirmed today. As earlier hinted by Swedish press, Norwegian ESC 2008 representative Maria Haukass will perform duet with former Estonian entrant Sahlene. As Maria will also be the host of Norwegian MGP this year, it is likely that this entry will be performed in the 4th semifinal of Melodifestivalen. Awaited is the confirmation of the 4th Swedish joker, which is expected to be band E.M.D., and for some reason, performer of the song Higher (Johan Fjellstrom, Joakim Udd, Johan Becker) which is expected to be Johan Becker. You can find more information on SVT site. Последняя порция участников Шведского Мелодифестивалена была презентована сегодня. Как и предсказывала шведская пресса, представительница Норвегии на Евровидении 2008 Мария Хаукаас исполнит дуэт с бывшей представительницей Эстонии Салин. Поскольку Мария также будет со-ведущей норвежского отбора, ожидается, что этот дуэт прозвучит в четвертом шведском полуфинале. В списке неподтвержденных участников остались лишь 4й джокер, ожидается, что им станет группа E.M.D. и, по непонятным причинам исполнитель песни Higher (Johan Fjellstrom, Joakim Udd, Johan Becker), которым должен стать Йохан Беккер. Дополнительную информацию вы можете найти на сайте SVT. Number of changes in Swedish Melodifestivalen this year: 8 persons on stage and prerecorded backing vocals now allowed. International jury will be introduced selecting 11th finalist and voting in the final along with 11 regional juries and televoting. "Play-off" system will be introduced for the second round of semis: 1st vs 4th, 2nd vs 3rd. Winners will pass to finals, loosers to second chance round. Semifinals: 7, 14, 21, 28 of February. Second chance: 7th of March, Final: 14th of March. Update: On 14th of October list of finalists (only songtitles and composers, no performers, no wildcards) was revealed, selected from 3440 submitted entries. Names of performers are revealed weekly on SVT site Ряд изменений в шведском национальном отборе Melodifestivalen: допускаются 8 человек на сцене, разрешаются записанные бэк-вокалы, вводится международное жюри, которое выберет 11ю песню для финала (из всех невышедших) и также голосующее в финале (вместе с 11 региональными жюри и телезрителями). Система плей-офф будет теперь использоваться и во втором раунде полуфиналов: 1я песня против 4й, 2я против 3й. Победители пар выйдут в финал, проигравшие - во второй шанс. Полуфиналы: 7, 14, 21, 28 февраля. Второй шанс: 7 марта, финал 14 марта.